Mather LifeWays was founded in 1941 by Alonzo Mather, a well-regarded humanitarian, lifelong inventor, and innovative entrepreneur. In my life, I have never stood still. We Mathers never do. I have kept on with new ideas, projects, and visions. Alonzo Mather was a humanitarian, philanthropist, and patron of the arts. As an innovator, he spent a lifetime thinking of new ways to do or improve things, from inventing a humane stock car at age 31 to designing a single-person aircraft at age 93. 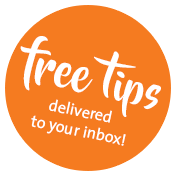 This has guided Mather LifeWays unwavering mission of finding new ways for older adults to Age Well. In 1864, Alonzo started his career by foregoing college and going straight to work at age 16. 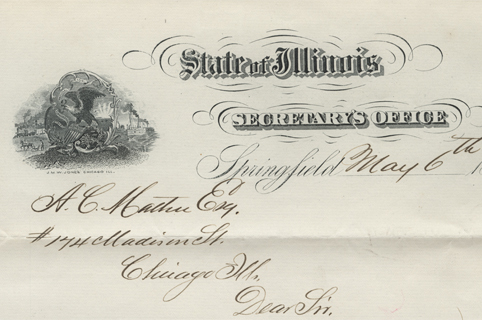 At age 27, Alonzo moved to Chicago in 1875 to start a wholesale mercantile business. In 1879, at age 31, he had an experience that set the direction for the rest of his life: During an all-night train journey, he witnessed a bull killing weaker animals in the same freight car. 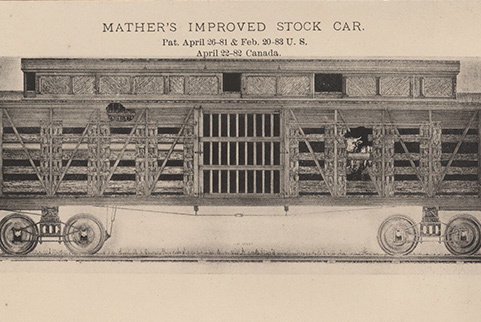 The “shocking sight” inspired his fortune-making invention of a more humane animal stock car, for which he earned a gold medal from the Humane Society in 1883. The stock car enabled livestock to be shipped without being unloaded, with food and water provided en route, thus preventing suffering. 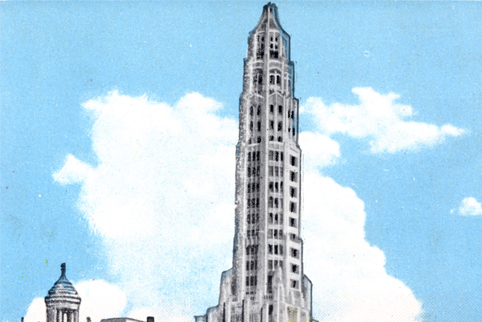 In 1927, a 79-year-old Alonzo built the 43-story Mather Tower in Chicago—a Chicago landmark and at one time the city’s tallest building—and the 10-story Mather Building in Washington, DC. 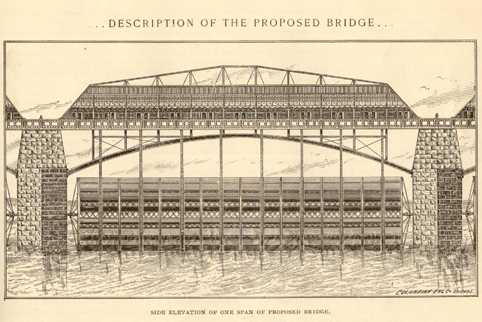 Before the turn of the century, Alonzo had plans for a bridge spanning the Niagara River from Buffalo, NY, to Fort Erie, Ontario, that would incorporate power-producing water wheels. While his bridge was never built, the International Peace Bridge was dedicated on his proposed location in 1927, and today, the Mather Arch stands on the Canadian approach to the bridge. 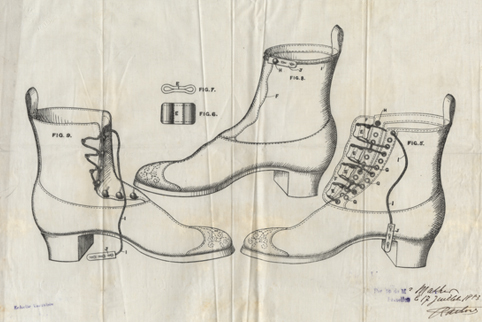 Alonzo earned 31 patents for his work, for a variety of items from ladies’ boot shoelaces to the gas engine for canal boats. 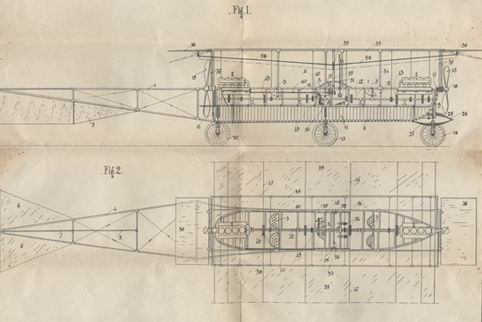 Shortly before his death in 1941, at age 93, Alonzo worked on a plan to produce a single-person aircraft that would sell for less than $1,000. He applied for a patent to mass-produce metallic wings. Mather LifeWays is continually applying the lessons learned from our founder. We continue to value and seek inventive thinking, both within our organization as well as in our industry. We continually invest in our organization’s future by growing our three areas of service: senior living residences, neighborhood-based programs, and research. And we strive to share innovative ideas, best practices, and collaborative insights that can help improve aging services. Alonzo Mather’s spirit of innovation has guided Mather LifeWays unwavering mission of finding new ways for older adults to Age Well. 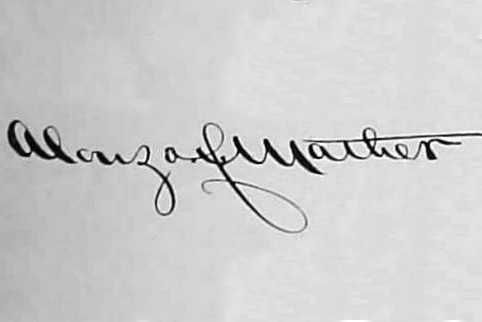 1941Alonzo Mather passes away, leaving a $6.2 million ($100 million in today’s dollars) charitable trust to establish The Mather Home (now known as Mather LifeWays). 1952The Mather Home for Aged Ladies opens in Evanston, Illinois. 1989Mather Place of Wilmette opens in Wilmette, Illinois. 1990The Mather Foundation assumes sponsorship of The Georgian in Evanston. 1999Two new areas of service are established—Mather LifeWays Institute on Aging and Community Initiatives. 2000The first Mather’s—More Than a Café opens in Chicago. 2006Splendido opens in Tucson, Arizona. 2009The Mather opens in Evanston.